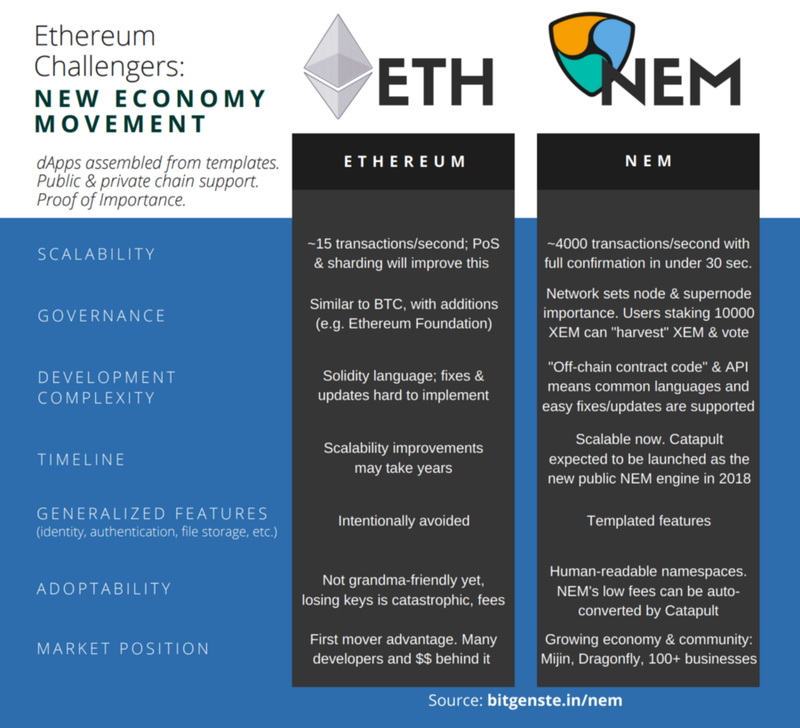 Today, we’re looking at the New Economy Movement, NEM (pronounced “nem”), a smart asset platform whose native cryptocurrency is XEM (pronounced “zem”). Ethereum stores smart contracts compiled into bytecode on the blockchain iteslf. 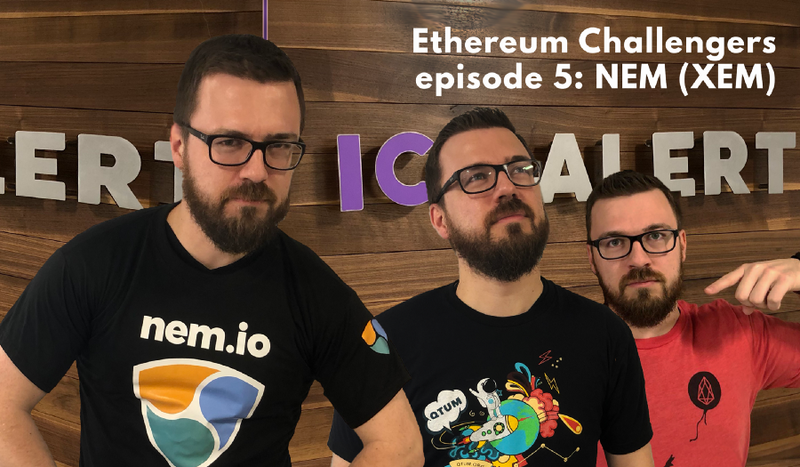 But on NEM, businesses do not need place a custom-written smart contract on the blockchain — instead, they write any code they need elsewhere and use templates to interact with the NEM blockchain. Some third-party solutions are also in the works to offer template-like features on Ethereum, such as Crowd Machine. Many businesses want to try blockchain technology these days. But businesses looking to add the advantages of blockchain to their network already have established systems. Redesigning their entire infrastructure to integrate blockchain would be an enormous expense. This includes easy-to-configure templated smart asset control for businesses, Mijin’s commercial blockchain services, private blockchains for businesses, human-readable namespaces, and more. On NEM, smart assets are still the focus — defining them, issuing them, transacting with them — but they are not controlled with smart contracts located on the NEM blockchain. Instead, they can be controlled by off-chain code which interacts with the NEM API via various templates. NEM smart assets are called Mosaics — analogous to the kinds of digital assets that were once called colored coins and today are commonly called tokens. API (Application Programming Interface): Just in case you’re in the space and you still don’t know what this is, an API allows programs to talk (interface) between one another. NEM, for example, publishes a dictionary of sorts that tells other developers what their API understands, and other developers can build “API calls” — requests for NEM to provide some information or take some action — using the dictionary NEM has provided for reference. NEM’s template system results in the code itself being less decentralized — but also easily upgradeable, and much safer on the blockchain side since the templates are standard. 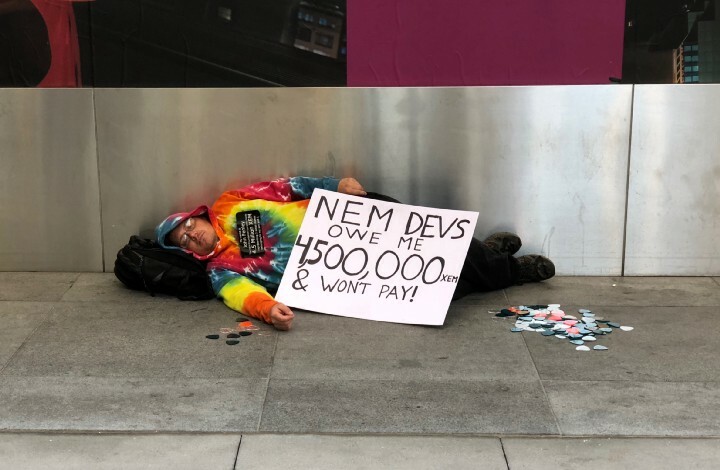 NEM has not suffered a major bug such as Ethereum’s DAO hack or Parity wallet freeze. The widely publicized CoinCheck hack of early 2018, which NEM tried to mitigate by tagging and tracking the stolen 530 million XEM, was not a fault of NEM’s but a breach of the CoinCheck exchange. Businesses hoping to interact with NEM can access its blockchain by using the NEM API from their already-existing system, without having to redesign everything in order to experiment with blockchain technology. But NEM also offers businesses the ability to run on a private blockchain. This mashup of public and private tech is again reminiscent of NEO — whose partner OnChain helps businesses build their own blockchains plugged into the NEO Smart Economy. Businesses working with NEM can use Mijin to build private (permissioned) NEM-tech blockchains with support for multiple assets, multi-signature accounts, and smart contracts. I’ve normally discussed each platform’s consensus and issuance method before throwing our seven big questions at it, so let’s do the same quickly for New Economy Movement. I don’t know whether time will show that Proof of Importance has the security the New Economy Movement claims, or whether the ecosystem will continue to grow before larger competitors become too dominant. But I am excited to follow the New Economy Movement as it grows. 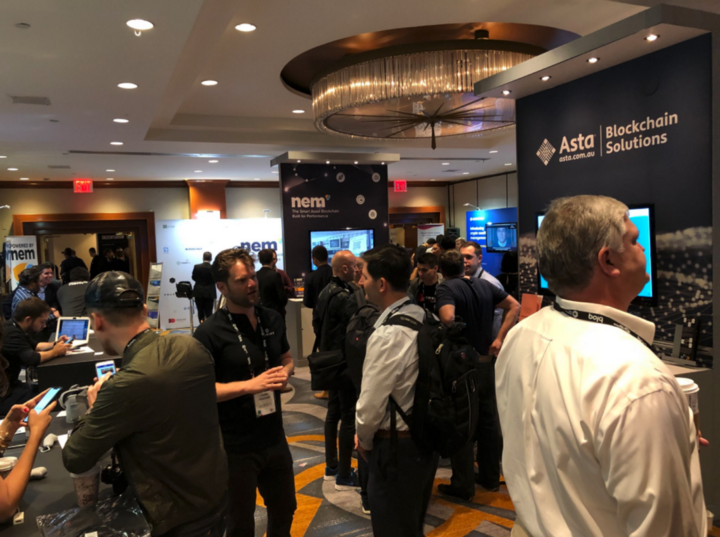 The strength of the community, and innovations both in the core protocol and by the businesses running on NEM, continue to capture my attention.